When the dust settles... the bodycount rises! Continuing the story of the cult 2012 movie DREDD. 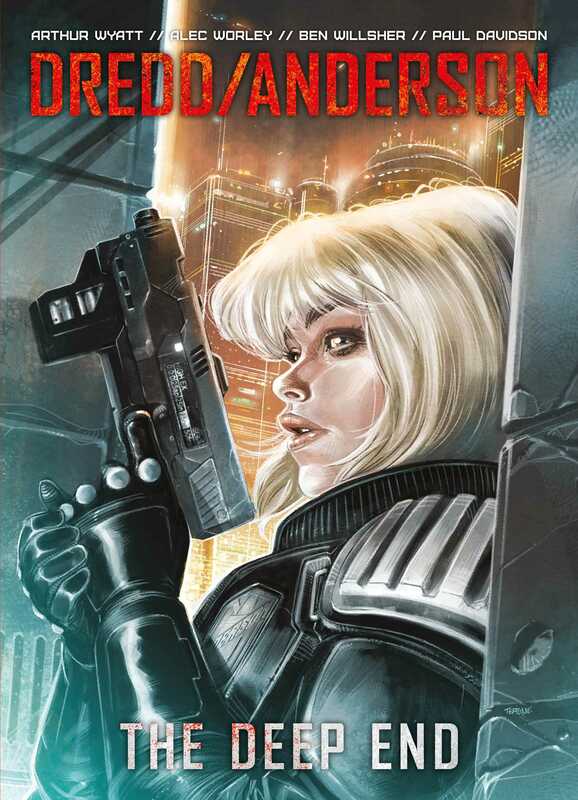 After the brutal day in which Ma Ma and her gang were brought down telepath-Judge Anderson is trying to adjust to the brutal life of a Street Judge. After investigating a claim of demonic possession, she finds herself at odds with a merciless drug cartel. Soon after, when lethal radioactive storms from the post-apocalyptic wasteland known as the Cursed Earth hit the city, they bring more than just dust into Mega-City One. When unexplained killings coincide with the storms, Judge Dredd is forced to hunt a mysterious mutant and take his ruthless brand of justice into the Cursed Earth.